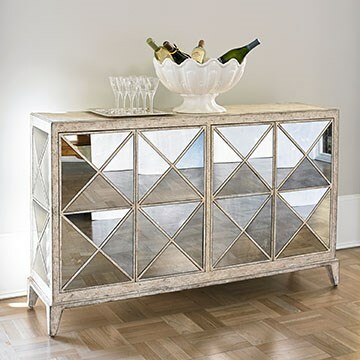 Crafted from mindi solids and veneer and finished in antique white. Four doors with antique mirror accents. Two adjustable shelves.